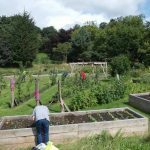 Manchester Friends of the Earth is involved in a range of biodiversity campaigns, which mainly concentrate on protecting our bees and other pollinating insects. As well as campaigning and raising awareness, at Manchester FOE we have been supporting bees by creating more bee-friendly habitats around Greater Manchester and promoting bee-friendly rapeseed oil. Our campaigns cover three main areas: encouraging local councils and the Government to take action as part of the Bee Cause campaign, helping people find out how to buy bee-friendly rapeseed oil, and giving people advice on how to set up bee-friendly habitats. 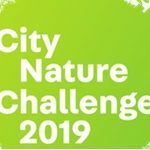 If you would like to get involved with Manchester FOE’s nature campaign please contact Damian at damian@manchesterfoe.org.uk or Cat at cat@manchesterfoe.org.uk. UK in 100 seconds short film asks: can we make space for nature? Britain’s bees need a home as their habitat continues to be destroyed – help them today by ordering your special-edition Christmas Bee Saver Kit. Just a few of the dozens of wildflowers we sowed in Cheadle Hulme in April. 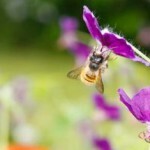 Councils are being urged by Friends of the Earth and Buglife to do more to help Britain’s bees after a survey found that only two English county councils have comprehensive pollinator action plans in place. Today’s [Wednesday, 13 June] review by the Mammal Society and Natural England finds that almost one in five of British mammal species face a high risk of extinction.